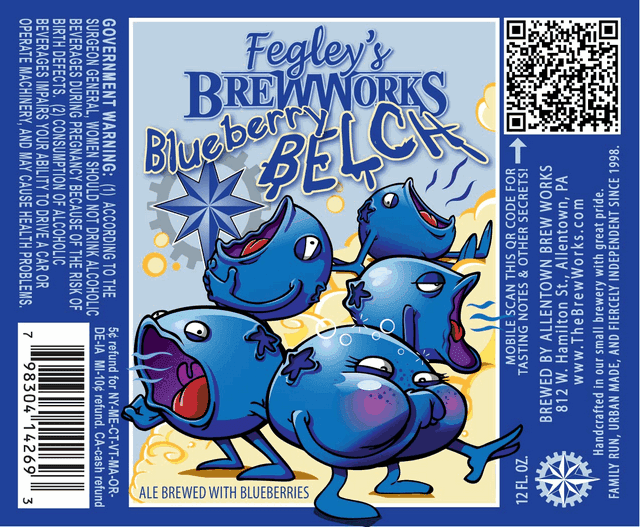 The Blueberry Belch label (I assume by Alex Clare, wins no points for subtlety, but is typically fun and dynamic and visually interesting without having tons of colors and bells and whistles. 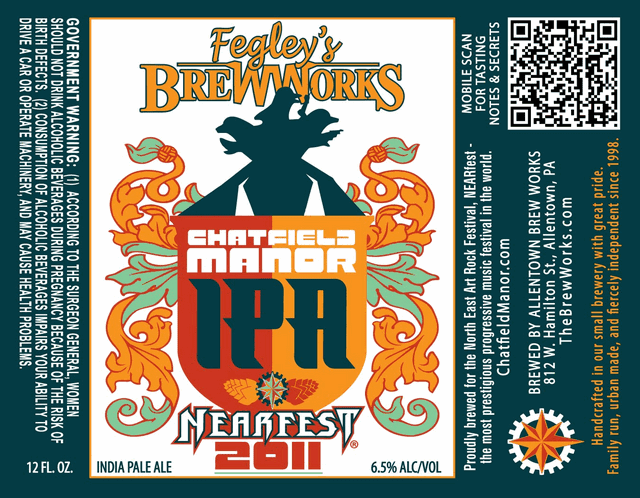 Their Chatfield Manor label for the beer was going to be produced for the North East Art Rock Festival, which was sadly cancelled. Chatfield Manor is the title of a Mike Keneally song from the album, Sluggo! (1998). The song refers to the house of Mike’s manager and good friend Scott Chatfield, where Mike often writes and records his music. 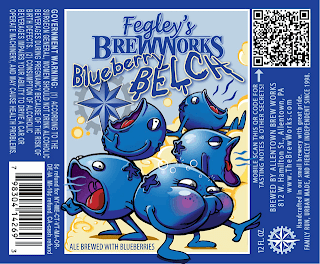 The label art is a solid crest design and manages to be readable. 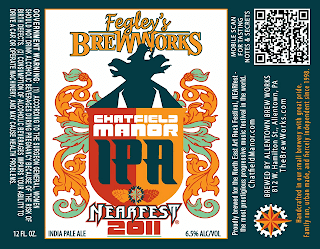 Between the Brew Works, the Fegley's, the Nearfest and the on-shield lettering, there are probably two too many fonts on it. I currently live in the city of Reading, once home to Legacy Brewing, which appears to have given/sold/ceded all of their intellectual property to their NJ-based marketing firm, Ruckus, which in turn launched Ruckus Brewing Company. In fact, according to their new site, they plan to keep the whole lineup. They've hired Legacy's old brewmaster, Mark Hummel, but I remain a bit confused. 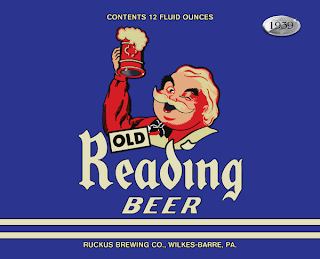 I assumed they'll all be contract brewed at Lion in Wilkes-Barre, since as far as I know the marketing firm had no brewhouse, and Legacy's was sold. My attempts to get in contact with the powers that be there have all gone unreturned, but I'll keep trying. Nice, tasteful work, as we've come to expect from Victory. 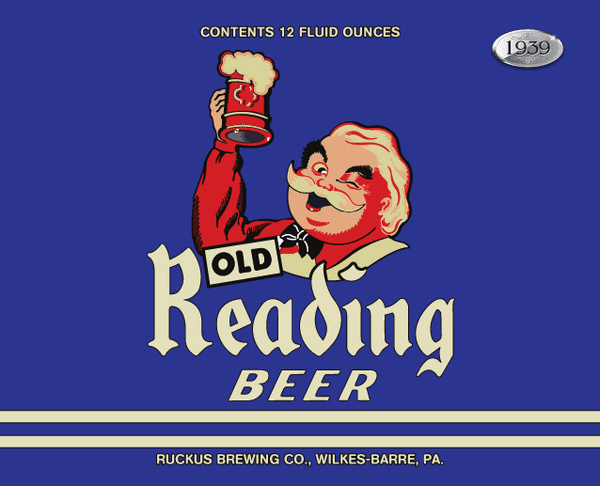 Now, considering that beer is the product of four simple ingredients and the three other than water rely on water for their existence, we’ve had a fair amount of latitude in paying homage to water in our beer. 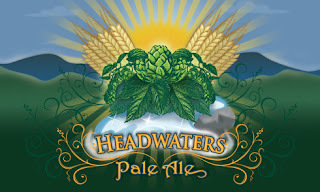 So, we’ve played all of our cards deftly, bringing the hops, malt and yeast in harmony, with our great local water as the conductor in Headwaters Pale Ale. Well said. 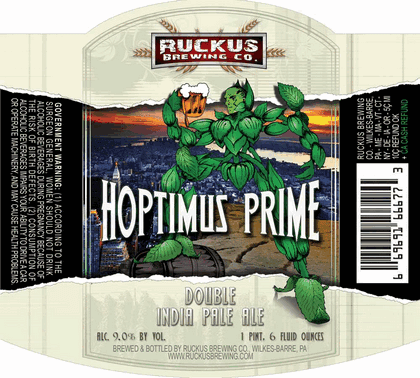 For what it's worth, the beer is a truly excellent, different type of pale ale. 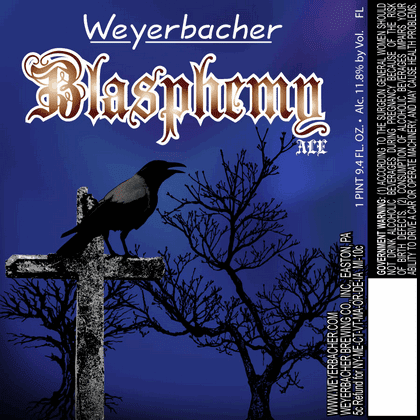 Lastly, Weyerbacher is in the midst of a re-branding effort, with the Blasphemy one of the first unveiled. Very dark and foreboding, which is appropriate for an oak-aged Quad (even if not exactly a literal rendering of something blasphemous). The font is so ornate it borders on difficult to read, but generally the look is a nice updating. Dan, Chris & Chris began work on the project a few months ago with consulting/design firm SSM Creative. A complete redesign of the Weyerbacher brand including new logo, packaging of all types, POS, etc. will finally be coming later this year. Thanks for all of your input and ideas over the years, we’re finally able to put this redesign in motion. Now this I am interested in. SSM Creative is formerly StandingStone Media, home to Josh Lampe, a family member of some of the brewery partners. More stuff for me to investigate. 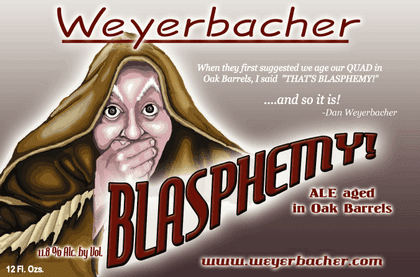 Teaser: I actually had a chance to talk with the Weyerbacher creative lead on Saturday, so I'll have the interview posted soon!